Mehrauli has been a hotspot for construction which continued for centuries and today perhaps boasts of more monuments than any other part of Delhi. The building of Mehrauli started just a kilometre away from Fateh Burj where Ghori and Aibak entered Qila Rai Pithora (Delhi’s First Capital) after defeating Prithviraj. These existing monuments stretch in time continuum from the Lal Kot walls of the Tomar Jats and Rajput era (8th to 11th Century), Slave Dynasty (12th to 13th Century), assorted tombs belonging to the Lodhis (15th Century), Mughal era (16th to 19th Century) to the British times when the East India Company resident Thomas Metcalfe built his weekend getaway (early 19th century) in the form of living quarters, boat house, guesthouse and follies. Even today, the construction continues unabated as the monuments are taken over by modern houses with terraces hovering over the domes of the tombs. This has been the story of Delhi’s capitals over the ages. Stone and material from Siri (Delhi’s Third Capital) went into construction of Shergarh (Delhi’s Sixth Capital) and stone from Ferozabad (Delhi’s Fifth Capital) went into Shahjahanabad. You do not understand the business of demolition and construction; of attempts to wipe out history. History can never be changed or swept away. It will always be there like the matter we studied about that cannot be destroyed. Delhi’s rulers never learnt it and it still continues - albeit less violently - through changing of names of streets. But this is the story of Mehrauli, of times, before the Qutb Minar rose into the air. As you go around the colonnades of Quwwat-al-Islam mosque (The mosque is the square open courtyard ringed with the ornate columns with the Iron Pillar and the imposing screens on the west) you can see the ornate pillars that have typical Hindu motifs like hanging bells, kirtimukhs, kalash and images of deities with faces disfigured. The inscription on the East Gate says that 27 Hindu and Jain temples were razed to build this mosque. On your trips across India, you have seen the bountiful temples of Karnataka and Odisha, and ruined temples across Rajasthan, Gujarat, Maharashtra and MP. But around Delhi and to its north, the area is surprisingly bereft of any ancient temples. The inscription does indicate the fate of the temples. You have always wondered how the landscape of Delhi would have looked prior to 1192. Looking at this beautiful Vishnu image you can only imagine the splendour of the temple dedicated to the deity. 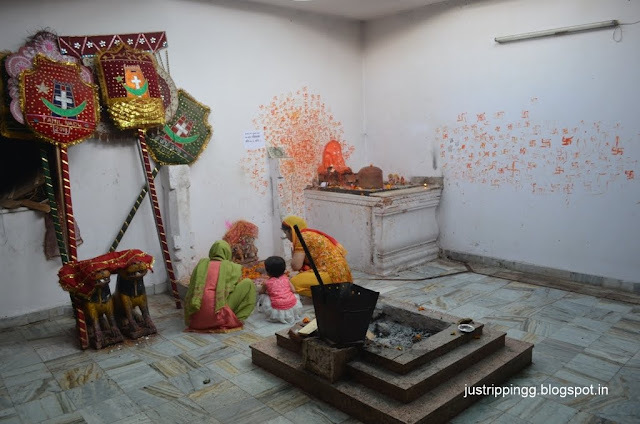 Now imagine - no not in Karnataka - this temple being in Mehrauli! It’s true; before Mehrauli became the hotspot for tombs, palaces and mosques, the oldest city of Delhi had scores of temples. 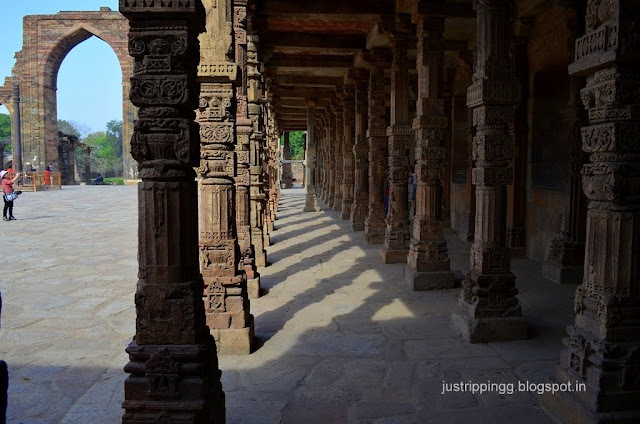 Until now, except for the pillars at Qutb Complex, there was no association of Mehrauli with temples. You do see some temple deities’ remains scattered across Qutb Complex and Mehrauli Archaeological Park. But this idol is unimaginably wholesome and beautiful. अर्थ इन्हीं शब्दों के आसपास का हो। इसमें गोविंद के पुत्र व पोत्र के नाम भी हैं. 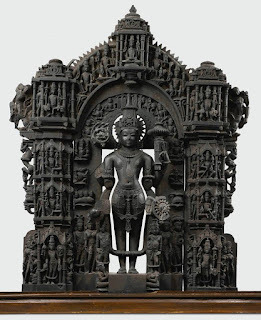 According to the auction house, the physiognomic features, jewelry design, sculptural posture and density of black stone can be compared with a 12th century Gahadvala Vishnu surrounded by avatars in the New Delhi National Museum. Some questions still remain - you still can't understand why this image is not Gahadwal - when similar images have been recovered from Wn & En UP, Alwar and beyond and Haryana - all Gahadval territory. “VISHNU IMAGE INDELHI - A four-armed Sankarshana image of Vishnu in black stone (pl. 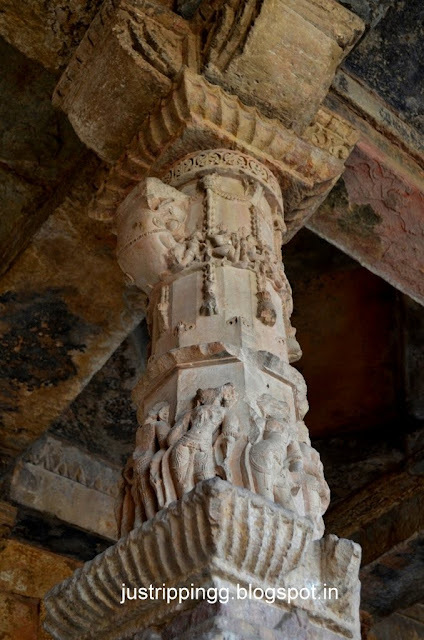 LXXIV A) was found to the south-east of the Qutb-Minar, slightly below the surface. 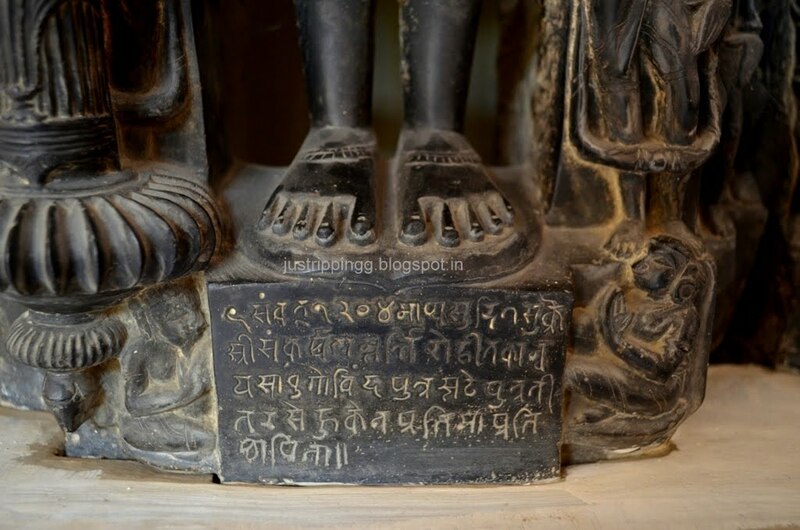 A Sanskrit inscription below the feet of the image gave samvat 1204 (A.D. 1147) as the date of its installation by a merchant of Rohitaka (Rohtak). Close to the find spot of the image was a stone platform, on which was marked the exterior plan of a pancha-ratha shrine." But then, even the government museums can surprise you. You don’t remember seeing it last time but this time around as you walk around looking for Kartikeya riding his peacock in New Delhi’s National Museum, you come across this glorious Vishnu in black stone. The finesse, the detailing and you think it is another image from the South but when you read the description plate, you are pleasantly blown away. The image is from 1147 AD and is attributed to the Gahadavalas of Mehrauli. You are hearing of the Gahadwals for the first time. Chauhans of Ajmer had conquered Delhi from the Gahadwals of Kannauj. The ruler Prithviraj Chauhan had ongoing wars with Gahadwals, Chandellas and Solankis of Gujarat. Yes, his wife Samyukta, their love story a subject of many lores, was a Gahadwal who reportedly eloped with Prihviraj making her father Jaichandra furious. Anyway the Gahadwals were already looking for revenge of losing Delhi to the Chauhans. As it always happened in the history, Ghori is invited by Jaichandra, Prithviraj stands isolated and in the Second Battle of Tarain in 1192, Prithviraj is defeated and killed. It is another story that Jaichandra is killed a year later by Ghori. Gahadavala survivors went to Rajasthan and became Rathores who founded the Marwar dynasty in Jodhpur. Delhi for the next 600 years will be ruled by Muslim rulers except for a brief period when Hemu became the Emperor before he was killed in a battle with young Akbar. So here is another instance, in a long series of similar instances, when women brought down dynasties, changed history and gave rise to grand mythological events. The elopement, the consequent battles and Qila Rai Pithora along with the temples was razed to the ground. It is apparent that North India prior to 1192 would have been adorned with magnificent temples. Only a few have survived, probably protected by hills (in HP and Uttarakhand) and vegetation (Neelkanth Temple in Alwar, temples in Morena, Shivpuri, Khajuraho and the Deogarh Temple in Lalitpuri). Moreover Delhi was controlled by the Pratiharas of King Bhoj fame (mid 7th to 11th century), while the Tomars ruled Delhi under them. Pratiharas who were vociferous builders must have built similar temples around Delhi like they built at Morena, Naresar, Badoli and Gyaraspur. So while the Central India temples survived, the northern counterparts were not so lucky. 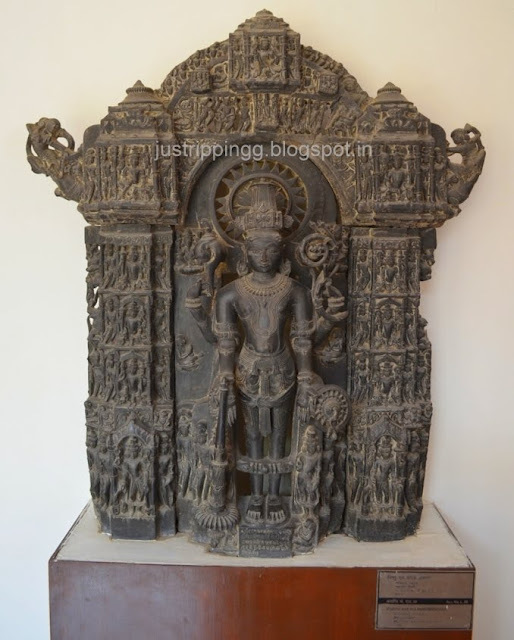 This Vishnu idol with the different avatars is an eye-opener. The only remnants of the pre-Sultanate Delhi that you have seen are the Lal Kot Walls in the Mehrauli area, and Suraj Kund and Anang Pal Dam in Haryana. The pristine quality of the image with the inscription makes you even more curious. You would love to hear the story of how this image found its way into the National Museum unscathed and if there are more images from Mehrauli in ASI cellars and elsewhere. The idol is described in great detail by Mihir Mohan Mukhopadhyay in his book 'Sculptures of Ganga-Yamuna Valley.' 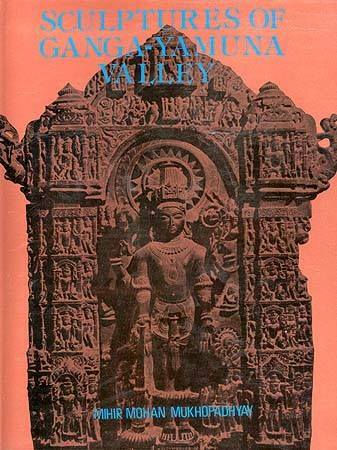 The author describes it as an idol that is excellent in preservation and is typical of medieval Ganga-Yamuna Valley belonging to the closing period and has significant changes from the Classical Gupta Style. The idol must be special to the author because it appears on the book's cover. The book has history of Kannauj and Gahadavalas' history in the 'Historical Background section. This is the beauty and grand scale of canvas of Delhi's glorious history. One idol in a museum and hundreds of stories tumble out calling for our attention. These stories need to be told. Delhi would have been even more beautiful if these stories were told and heard under the domes of majestic tombs, in the courtyards of imposing mosques and in the mandaps of splendidly ornate temples. Why have you left the Tomar Jats from the chronology who ruled Delhi from Mehrauli from the beginning of 8th Century until the arrival of the Musalmaans? I have made the required changes. I am still not sure if the Tomars were Jats or Rajputs. Do you have a mechanism to ensure who were Jats and who were not. How can you or I prove to be Jats? Only because we are told about it and our gotras are proof. Rajpoots wrongly add Tomar to their name whereas, in fact, they are Jats. This might have ensured their tribes' survival amongst Rajpoot majority as an appeasing trick, who knowd? 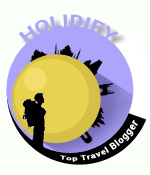 Hi Sir, thanks for the inputs. This would be best answered by anthropologists. Thanks Attri ji - yes you are right! The country comes above everything else - we are all one!